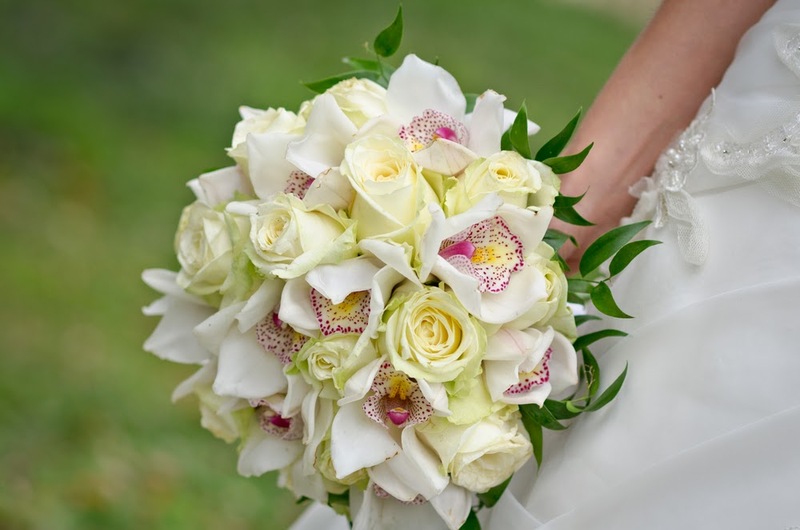 What would a wedding be without a stunning bridal wedding orchids bouquet for the ceremony? 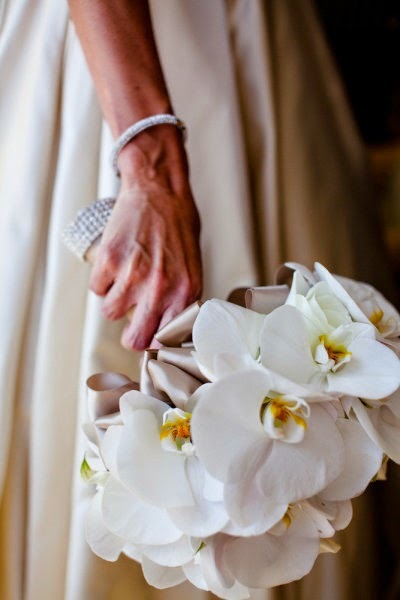 Many a bride will look back at that day of importance and will wish they had wedding orchids bouquets. Why you may ask? Well let's count the ways. 1. The simple beauty of the orchid blooms. 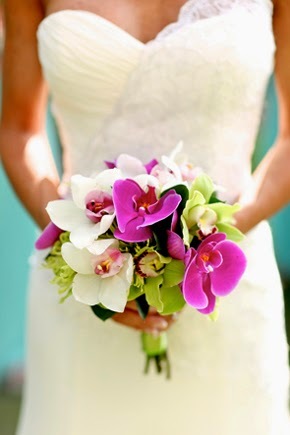 The use of wedding bouquets with orchids is outstanding because they are the most exotic of all flowers. While it may be considered a luxury, the truth of the matter is orchids are now available through most florists at a reasonable rate. If possible check on the internet for someone who will sell in bulk for a wedding event. 2. The fragrance of the bouquet. The delicate scent of the bouquet should be just that, not overwhelming. 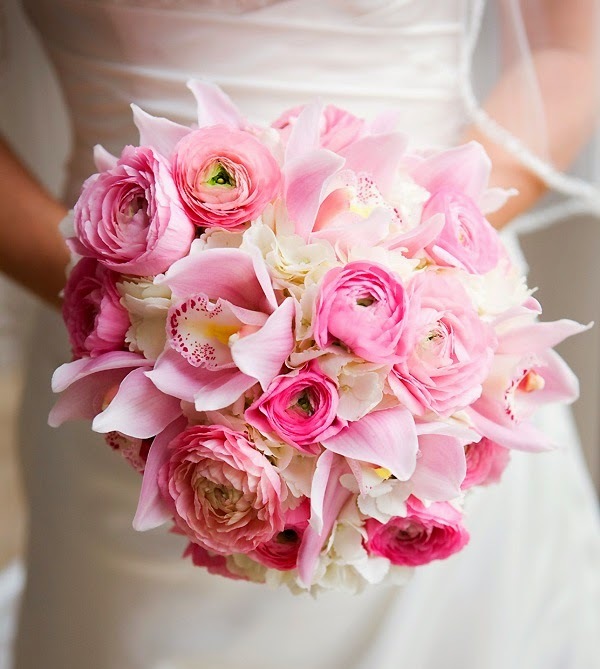 A consideration of the bride and groom is a must when picking out the array flowers or blooms for the bouquet. While this is not common place an allergic condition should be checked out prior to the selection of any flowers. Also, the wedding party including the best man and bridesmaids should be thought of in advance. This could be a well thought-out courtesy for all involved in the ceremony. Who knows the minister, pastor or rabbi might have a problem with certain flowers. 3. The meaning of the flowers to the ceremony. 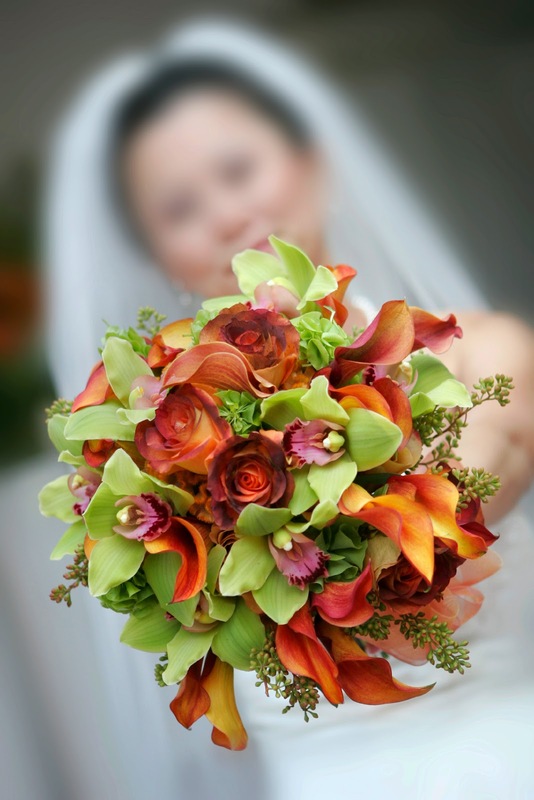 The wedding bouquet is to be the personification of romance and love. While the bouquet can be created with orchids alone, the incorporation of other flowers and blooms can complement the meaning of the bouquet. Combining lilacs or daises tells the story of innocence. Roses are the ultimate symbol of love itself. The closeness of friendship and loyalty can be symbolized with blue hydrangeas. So many things can be said with the choice of flowers. 4. The practically of the choice of flowers. 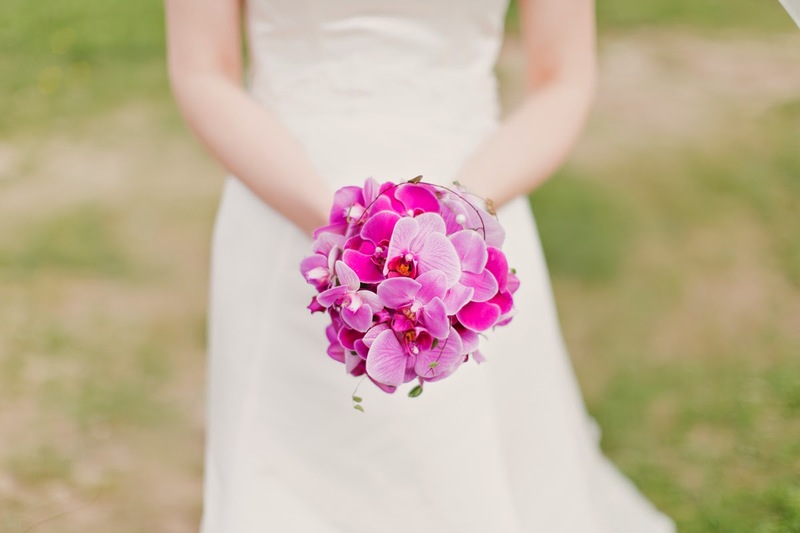 Not only are they exquisite in appearance, orchids can be hearty and last well for the event. Some orchids do better than others, so check with the flower professional how the flowers you pick will stand up over time, not only for the event but the shipping process. You will lose a percent of the flowers during shipping. 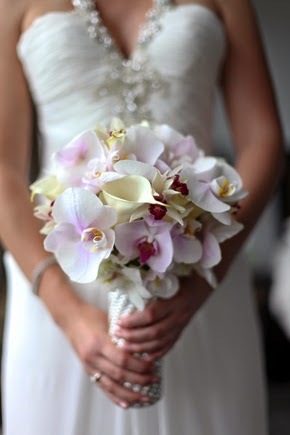 The sheer abundance of choice of orchids makes the use of these flowers a must in a bouquet. 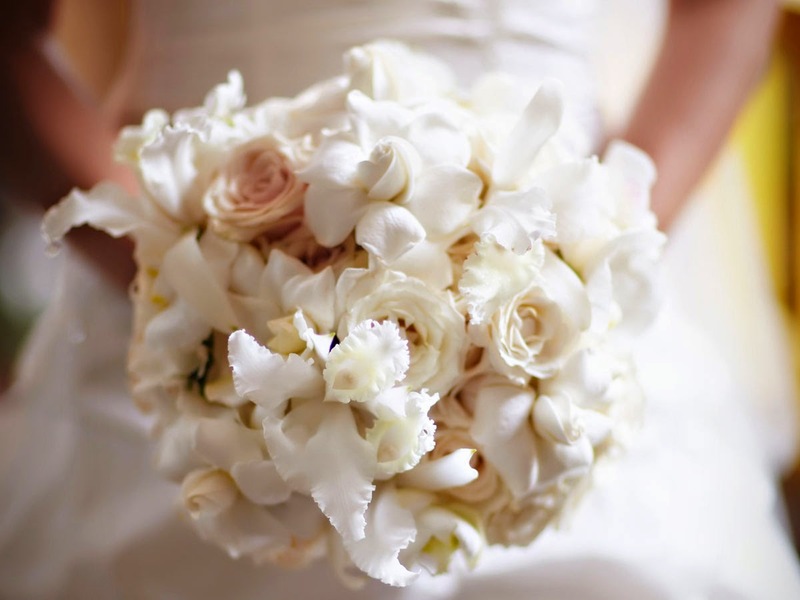 The color is superior, whether the bouquet is to be made up of only orchids or with other flowers, practically any wedding colors can be matched.